CTL is marking its 20th anniversary with an education forum and celebration in September. 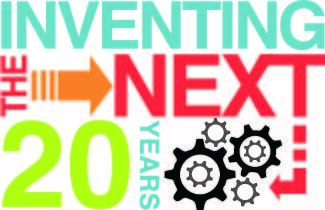 In advance of that event, we wanted to begin the conversation on inventing the next 20 years of education in ways that transform teaching, learning and leadership. We’ve identified three inter-related themes necessary to the invention process: innovation, equity and systems change. We’ve invited national, state and local educational leaders to share their ideas on these themes through a series of blogs. Posting dates are August 1, 8 and 15. We hope that as you read these blogs you’ll comment and add your own thinking to this extended virtual conversation. The first set of blogs includes: a post on equity by Salem, NJ superintendent Dr. Patrick Michel; one on innovation by UK faculty member (and former Danville Independent superintendent) Dr. Carmen Coleman; and one on systems change by 2013 KY High School Teacher of the Year Allison Hunt. In addition and to ensure that a student voice is represented, we invite you to view this virtual blog by student Sarah Almeda: Let’s Make Some Good Art. This entry was posted in Blog and tagged 20th Anniversary, arts, arts education, innovation, Instruction, reform. Bookmark the permalink.